UPDATED: The victim has been identified as Fredrick Sclafford, a 58 year old man from Pleasantville, NJ. 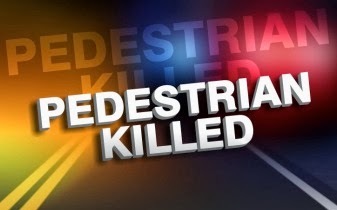 On November 5, 2016 at 10:50 p.m., Galloway Township Police responded to a motor-vehicle accident involving a pedestrian at Jimmie Leeds Road and the White Horse Pike. A NJ Transit Bus driven by Adalbert Fabian was traveling east on US 30 in the area of Jimmie Leeds Road when it struck a 59 year old male as he crossed the highway. The driver and passengers sustained no injuries however the pedestrian suffered fatal injuries and was pronounced deceased on scene. His identity cannot be disclosed until next of kin is located and advised. The eastbound outside lane was closed for approximately two hours while the scene was investigated. Anyone having information or who may have witnessed the collision please contact Officer Steve Garrison of the GTPD Fatal Accident Unit. GT Ambulance Squad, Atlanticare Medics, Atlantic County Prosecutors Office, NJ Transit Personnel, NJ Medical Examiners Office were assisting agencies.